You need a team that can advise you from A to Z in order to establish your company and your business in Canada? To make a decision, we have helped you to gather a broad array of information in terms of: taxation, the market and demand in the construction industry in Quebec, Canada, the laws, regulations and building codes and now you are ready for starting a business in Canada and move forward in Canada. Construction Daniel Dargis Inc. offers lawyers, specialized in Canadian Business Law in Quebec, Canada, construction law and real-estate law, familiar with the construction environment. We coordinate meetings and guide you in your dealings with the law firm that you choose. We help you as a consultant to firmly establish the foundation for your business to make it work properly in the construction industry in Canada. We also help you to save time and money by preparing you in your meetings with your lawyer specialized in Canadian Business Law in Quebec, Canada. If necessary we invite external advisor lawyers to give you training on key legal issues in your industry. We coordinate meetings and send questions for you to highlight important points. 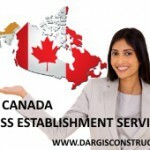 Thanks to the practical experience in the field of Construction Daniel Dargis Inc. in Quebec, Canada, we are able to explain with simple and concrete examples, some aspects of Canadian business law in matters of construction and real-estate projects. The better you understand the nature of Canadian business law, the better your chances will be of business success in Canada and the better our business relationship with you will be. We must distinguish Canadian business law, commercial law, real-estate law and construction law one from another. It is important to call upon one or more lawyers who master very well these three aspects. If, for example, you are thinking about buying real- estate and managing rental property, then real-estate law applies. If you think, however, about building real-estate projects, a lawyer who knows about the laws of construction is necessary. In addition, for starting a business in Canada in general, a Canadian business law attorney will help you build your business. If you think about operating your business in Quebec, Canada in these three spheres of activity, it is important to hire a lawyer who specializes in these three areas. Construction Daniel Dargis Inc. can recommend lawyers for your business and construction projects in Quebec, Canada. The choice of a good lawyer who can properly protect your interests for a reasonable fee is important. Construction Daniel Dargis Inc. advises you in choosing a lawyer specialized in Canadian business law, construction law and real-estate law.